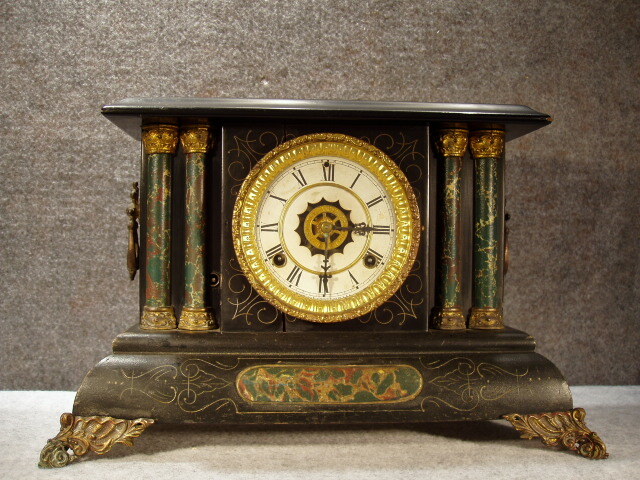 Waterbury Wood Case Black Mantel "Dunraven" Clock. Circa 1909. The Movement Is An 8 Day, Time, Hour Strike And 1/2 Hour Bell With Alarm, There Is Some Distressing On The Top Of The Case. Height 17" X Width 11" X Depth 7"